A Visit to a Certified Public Accountant in Santa Rosa and Sonoma County as a Gift? Tax time is almost here. 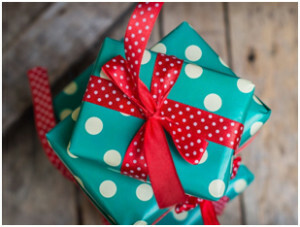 If you happen to know someone with a birthday coming up, someone who could use a helping hand, or someone who you’d like to repay for a kindness they extended to you, you probably hadn’t thought of hiring a CPA or business consultant for them as a gift. But who wouldn’t want their taxes done for them or professional consulting when they first set up their business? If your parents have recently moved, retired, inherited money, or had other financial changes, give them the gift of not having to do their taxes themselves. Help them make sure that they are taking care of their money in the way that benefits them most. If your child or someone else you care about greatly is starting a new business, having a business consultant start them off on the right foot could make all the difference for their future. You may simply want to help them achieve their dreams or you may have heard their planning and thought, “Oh boy, that’s going to crash and burn.” Either way, solid financial advice for their foundation is an extremely practical gift. We can advise on budgeting, cash flow, financial forecasts, Quickbooks, and more. You deserve the peace of mind of having your taxes done right. You owe it to yourself to start a business on more than a wing and a prayer. It’s not always a matter of the luxury of saving yourself time; it pays off financially, too. A certified public accountant in Santa Rosa and Sonoma County will help you set your business up for success or save you time on your taxes while ensuring that you get the biggest return possible. Susan Adamson is a CPA with a master’s in degree in business taxation and years of experience in business consulting here in Sonoma County. CONTACT US or call (707) 799-2705 for tax preparation or business consulting. ARTICLES | © Copyright 2019 Susan C. Adamson, CPA - All rights reserved.